It's official. Gus Oden has been adopted. It didn't take long before Gus Oden's family fell in love with him. They are doing the work with him to socialize and have him handled by many many different people and expose him to different situations so he's ready for life and people. His people will be starting puppy obedience with him soon. He'll be a working dog as soon as he is old enough and he'll get to do the job for which he was bred. Go Gus! Meet Oden. Born July 14, 2016. 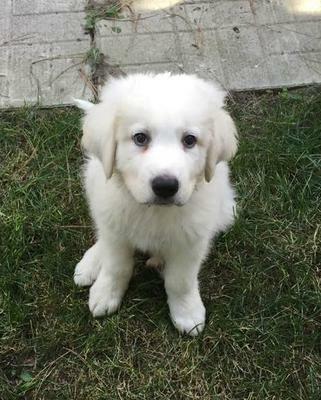 He is an 8-week old Great Pyrenees bundle of love. He came into foster care not because of behavioural issues, but because the family realized this was not a "Labrador" like they were told. Broken hearted, they surrendered him to rescue. He is an absolute joy. Greets you wagging his tail, LOVES people and children. He’s extremely calm and respectful. 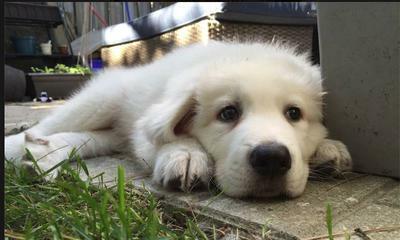 As a Pyr, he is cautious and curious. If he goes to a farm with another dog, the other dog must be female. Two males or two females will not always see eye-to-eye. When hearing loud sounds he stops and comes near someone he trusts but is learning fasts that these sounds are fine. He loves being outside and being around people. He is not a confident dog but is learning to be confident. He has no food aggression at all. He is crate-trained and almost house-trained. He’s still learning to walk on a leash. In short, there is nothing wrong with this love bug. With patience and consistency he will be an exceptional dog for someone who makes a good match for him. He is quiet and calm but active when needed. He is suspicious, as Pyrs are, and learns fast. He loves being outside. His adopters must commit to two sets of obedience classes with him to give him much socialization and the training required. He will go as a guardian livestock dog. 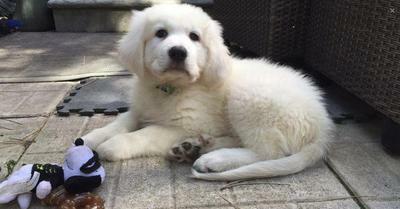 He will be co-owned by the Great Pyrenees Club of Southern Ontario until such time he is to be neutered. The GPCSO will subsidize the neuter. Their instinct it to wander. Therefore, they require at least a 6-foot secure fence in a large yard in which they can play, run and watch over. No tie-outs these guys. It can lead to aggression since they cannot fully watch over their territory. No e-collars. If you are interested in Oden, call or text Jana at 647-267-9917 or email at potensbeast@hotmail.com. If you would like to meet Oden, please fill out an adoption application. I was wondering about Oden too- where is he and is he still available? 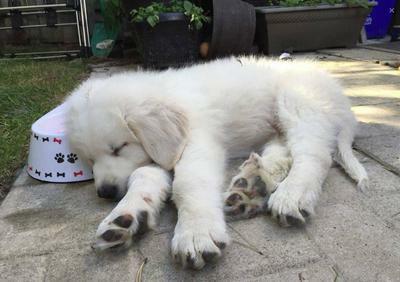 I just put in my application to rescue a pyr a couple of days ago after visiting Dr Carol and her crew. You might try Mu. He is a lovely boy. Hi there, is Oden still available for adoption? And where is he located?